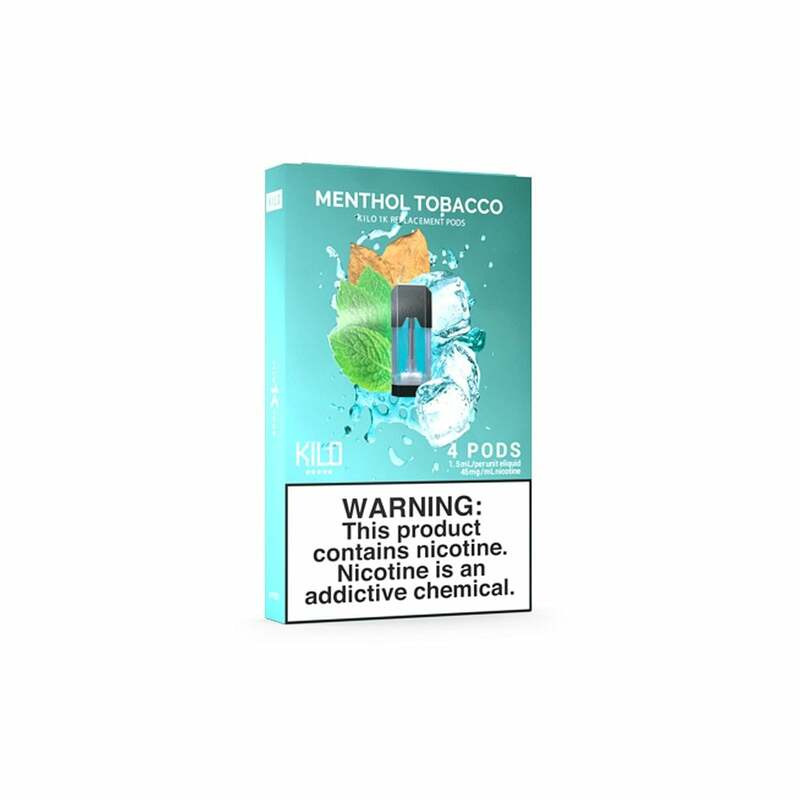 Kilo 1K Menthol Tobacco Pods serve up a frosty tobacco hit, perfect for former smokers of menthol cigarettes. Fans of tobacco flavors will love this twist on a classic, and with Kilo’s years of experience in vape juice production, you’re guaranteed premium flavor and a quality vape. Extremely close to the real thing. Awesome product! Thx to this alternative I have been cigarette free for over 65 days! Yay!!!!!! These refills were exactly like the ones I purchase at a vape shop in town-- but with an incredible deal! I can basically get two packs for the price of one. The Kilo in general is great. Charges fast, packs a punch, lasts long.